Five years after the darkest day in its history, Metro continues to make changes to keep you safe on the rails, but the transit agency still faces safety challenges. 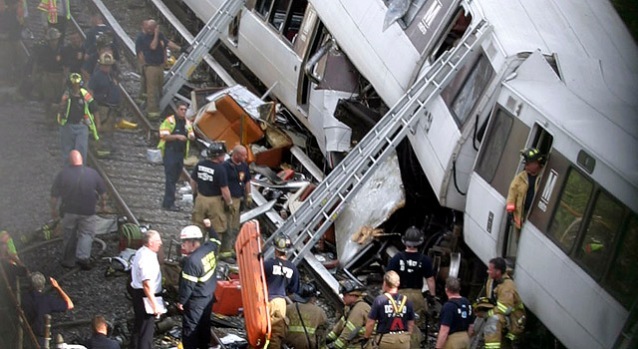 Metro has not been the same since the June 22, 2009, crash that killed nine and injured dozens more when a computerized system that was supposed to keep trains spaced apart failed, causing two trains to collide near the Maryland state line. Trains have yet to return to an automatic mode of operation, running on manual. Metro says it has made strides, but there are still recommendations made by the National Transportation Safety Board that Metro needs to close out. Metro has to remove its oldest rail cars -- the 1000 series rail cars -- as soon as possible. They are still running. Metro's safety staff must review data from onboard recorders. The first two rail cars of every train must have event recorders. A program must be put in place to monitor those recorders and make sure they are functioning properly. Tawanda Brown, who lost her 23-year-old daughter Lavonda Nikki King in the Red Line crash, set up her own memorial Friday. She said she still isn’t over what happened and she is still upset with Metro. "The political side of this does not allow them to have compassion and be human about when they take someone's life,” she said. “For them it’s business as usual. It’s never been business for me. It’s a child that is gone. It’s compassion. It’s human, and they have never been human to me." This weekend, ground will be broken for a new park to honor the victims of the crash.